It’s recently been reported that Leeds is the UK’s best city for students. It’s not hard to tell why, with the superb levels of academia, the amazing surrounding areas and of course the nightlife, post-grads are staying and thriving in the city and the city is consequently thriving itself, evidenced by the £165m shopping centre Victoria Gate, opening its doors – more on that later in this post. With the HQ of Kloeckner Metals UK being on the outskirts of Leeds, we’re very proud to be Loiners and evidence of that can be found throughout the centre and beyond. 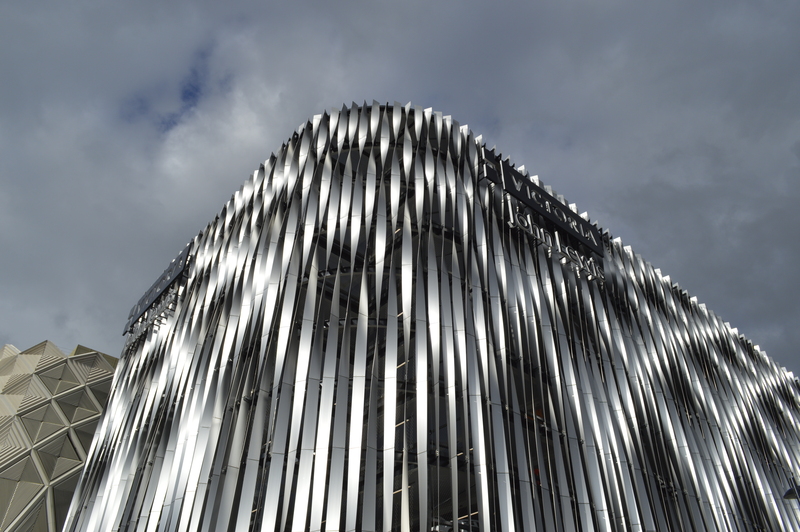 Leeds reflects the modern, metropolitan nature of its inhabitance and there are countless examples of groundbreaking architecture and through the years, Kloeckner steel has become somewhat of a lifeblood to the construction of the ever evolving city. At Kloeckner Metals UK Westok we pride ourselves on striving for continuous improvement by investing in ongoing research and development which has led to enhancement of the design and manufacturing of cellular and plate beam solutions for the benefit of our customers and the broader steel industry. Dr Konstantinos Tsavdaridis is an associate at the University of Leeds whom we have worked closely with for a number of years. His current work is on further research and development into a construction project to be published upon completion. His area of expertise include steel; aluminium; sustainable design; digital design & construction; high-rise buildings and more. The Doctor has an MSc and DIC in Structural Engineering and his completion of his PhD in 2010 at City University London was was funded by Westok. Dr Tsavdaridis’ recent promotion has seen him rise from Assistant Professor of Structural Engineering in the School of Civil Engineering at the University of Leeds to Associate Professor of Structural Engineering. He is also the Industrial Liaison and Academic Placement Tutor in the School of Civil Engineering and the Faculty of Engineering Employability Lead. Evolving our workforce and adding a fresh perspective through grass-roots recruitment are steadfast elements in the progressive nature of Kloeckner Metals UK. With that in mind we are looking to appoint two sales apprentices into our commercial teams based in Leeds who will be undertaking qualifications through Leeds City College alongside job specific training. Central Square is a prestigious, high profile, mix use development in the heart of the city centre. 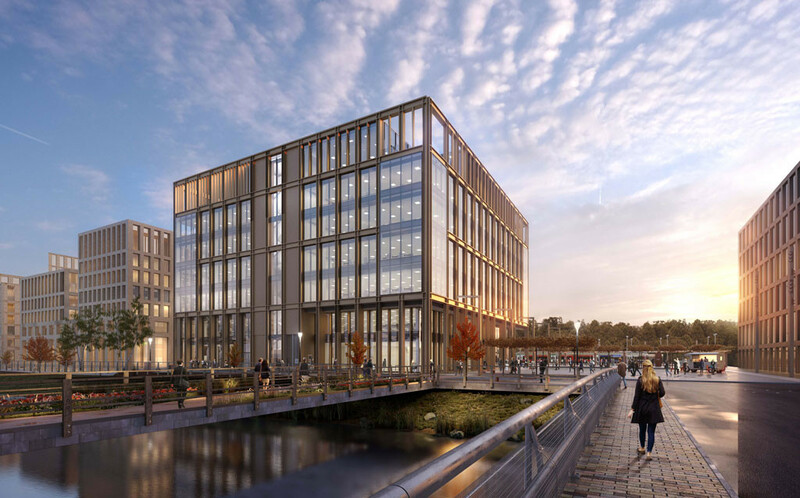 Its raison d’etre is a reflection of the city’s appetite for sustainable, high quality office space with large individual floor plates that currently don’t exist in Leeds City Centre. The scheme has achieved Breeam and consists of a dramatic atrium space incorporating an impressive winter garden, restaurants, roof top garden and 20,234 square metres of office space. We worked closely with Elland Steel Structures to meet the requirements of the quick fabrication and erection programme, supplying 1,050 tonnes of cellular beams which were employed into the design due to their efficiency and flexibility, ensuring the building is future-proof. Thorpe Park is area of Leeds which has been gradually gaining momentum over the past few years, businesses that have found homes there range from utility companies to creative agencies. The Park’s plans for further development will establish it as one of UK’s premier business, shopping and leisure destinations. The finishing touches are being made to the new building at plot 3,175 providing 2,941 square metres over 3-stories of high-class office accommodation – to be known as Paradigm. We’re proud to have worked on the concept design with Consulting Engineers at Buro Happold and manufacture and supply of 150 tonnes of Westok Cellular Beams to our customer Elland Steel who is the steel frame contractor. 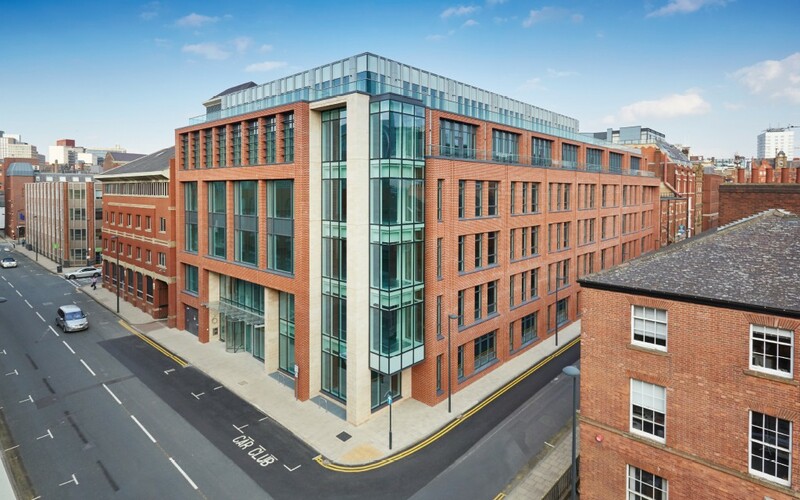 Found in the financial sector of Leeds, 6 Queen Street is a BREEAM “excellent” new office building. The structure has been built over six floors, comprising of 70,784 square feet and with a stunning private roof terrace on the 5th floor offering panoramic views over Leeds. On this project we collaborated with JGP (Leeds) Ltd at concept and detailed design stages which ultimately led to us manufacturing and supplying steel frame fabricator – Compass Engineering with 130 tonnes of Westok Cellular Beams. 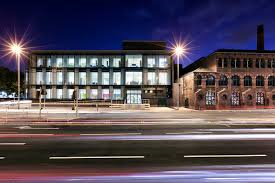 The development of Kirkstall Forge is setting the bar for the echoing of eclectic Leeds as it brings together the idiosyncratic industriousness of the Yorkshire spirit in its aesthetic while fuelling the dynamic nature of the local economy. The epitome of an ‘urban village’ the neighbourhood will be completely self sufficient with homes, workspaces, restaurants and bars as well as its own purpose built train station opening soon. In keeping with the stunning riverside location, the Grade A offices will be built to the highest environmental sustainability standards and house over 300,000 square feet of light-filled workspace. Our input on the first office development saw us working in collaboration with our client Finley Structures and under the approval of Main Contractor Wates, we undertook extensive value engineering, employing a 535 tonne mixture of Westok Cellular Beams and Plate Beams in order to achieve maximum economy and efficiency. 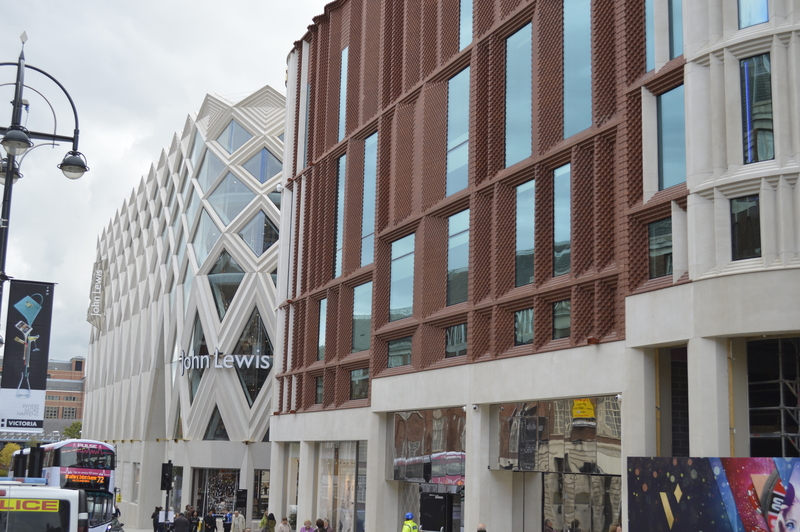 We’re very proud to have worked on all three of the constructed steel frames on this modern, highly specified scheme which has been dubbed the new urban quarter of Leeds. 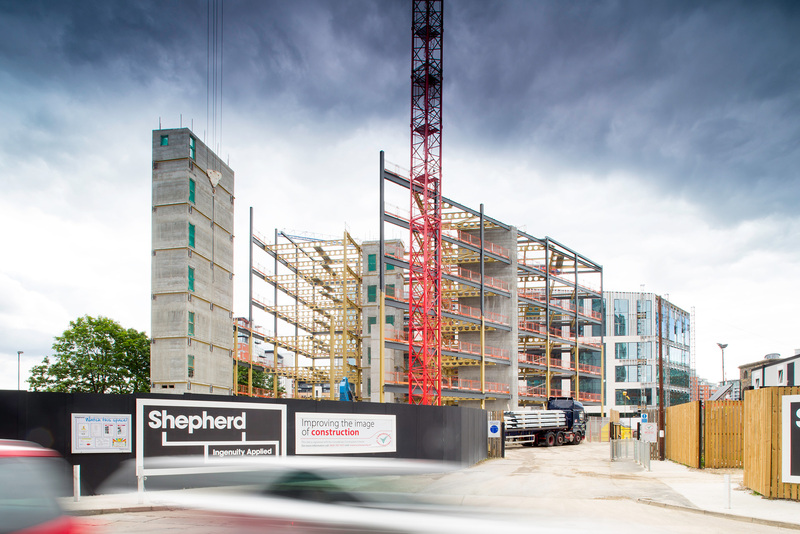 Once completed the 22 acre scheme will provide a vibrant mix use community housing approximately 12,000 people living and working in Leeds, consisting of 1.5 million square feet of space across offices, residential, retail and leisure. Westok Design Team engaged with the Consulting Engineers at concept stage on all three developments, providing technical advisory support throughout and subsequently working with Billington Structures on plots 5 & 6 and Finley Structures on Plot 10. Collectively providing over 600 tonnes of Westok beam solutions. 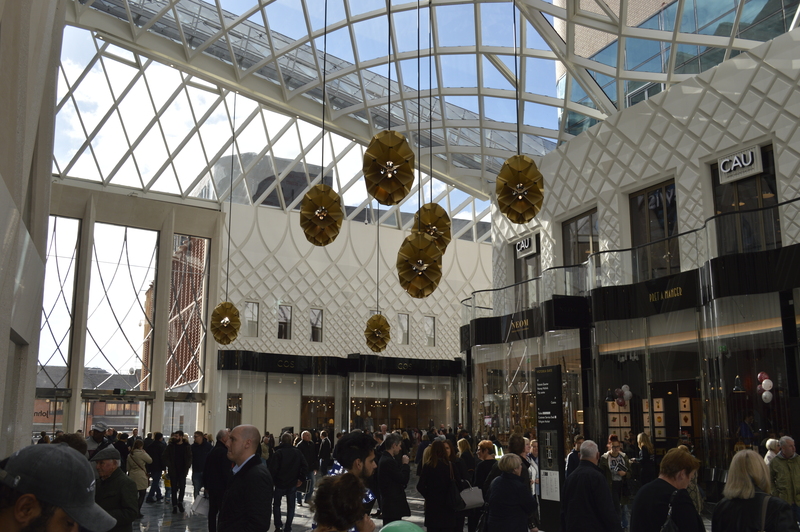 The highly anticipated Victoria Gate has finally opened its doors in Leeds today and its striking aesthetic is a hark back to the city’s history in the manufacturing of textiles as well as its current digital affiliation, it’s even been described as robo-gothic. “The development of the Victoria Gate centre is exciting for the city. Not only does the £165m investment speak of confidence in Leeds as a city on the up but it will in turn contribute to this by providing jobs and attracting visitors. John Lewis has anchored the development as the flag ship store but there are many other retailers to be discovered from the high end fashion of Russel and Bromley to more independent establishments. Suffice to say, the city is abuzz with excitement over its opening. Our esteemed partners Finley Structures were awarded the steel frame contract for the Victoria Gate Arcade and we are incredibly proud to have been their chosen partner to manufacture and supply 600 tonnes of Westok Plate Beams for this iconic new build.